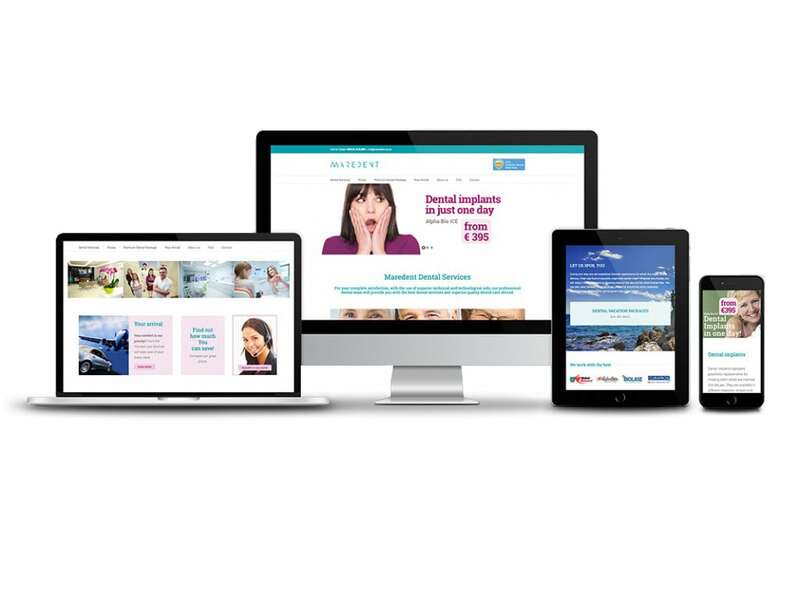 For a modern dental clinic we have created an attractive web design for foreign markets, especially the British and North American patients. The main objective was to present a top quality service with extremely competitive prices, much lower than on the target markets. In the preparation of the content and development of the website, we took care to achieve maximum SEO standards so that web page can be highly positioned in the Google search. We have created a website that allows potential patients intuitive navigation across the site, so they can get all the necessary information fast and easy. Web site has a responsive design that allows users an optimal experience when browsing the website, because the content automatically adapts to all screen resolutions on different devices. We added a dark pink to the main home color that perfectly complements her and gives website vibrancy, playfulness and elegance.